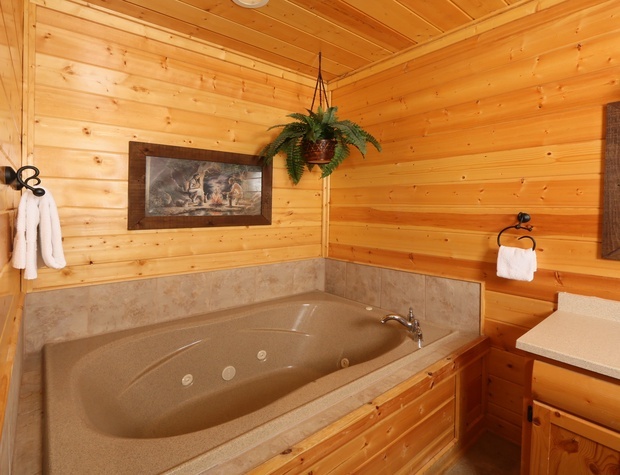 Everyday life got you down? 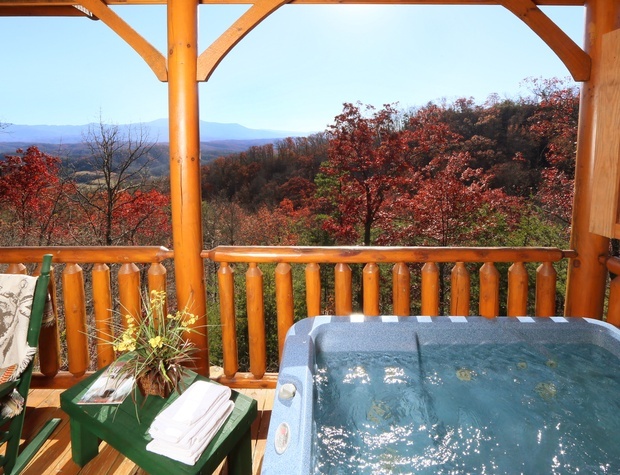 In serious need of a peaceful getaway? 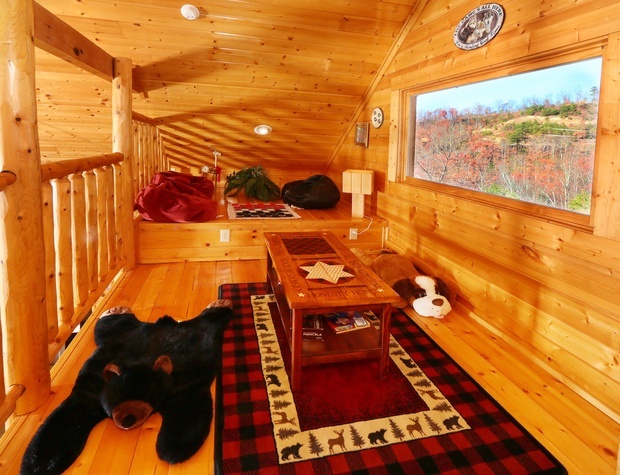 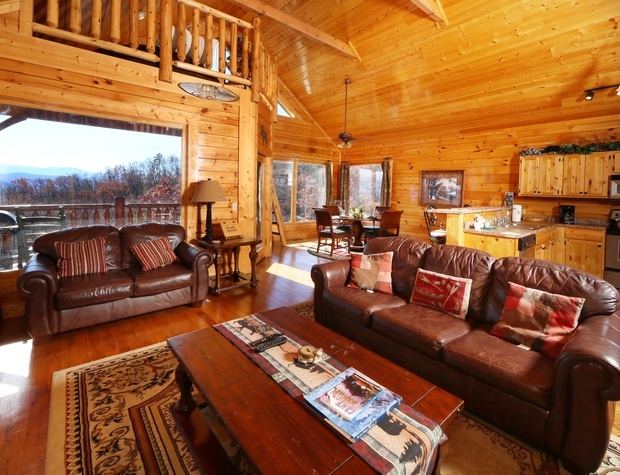 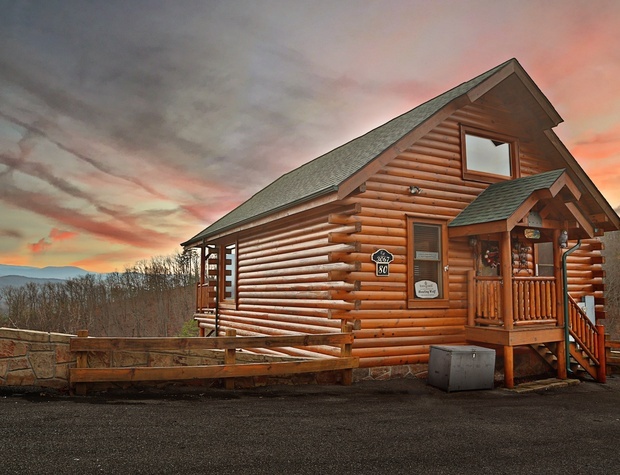 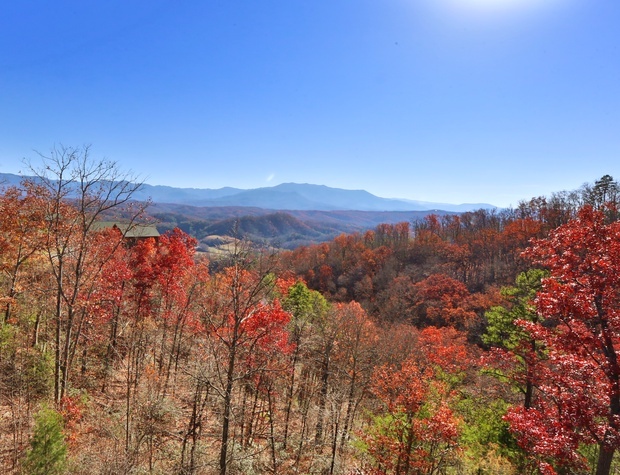 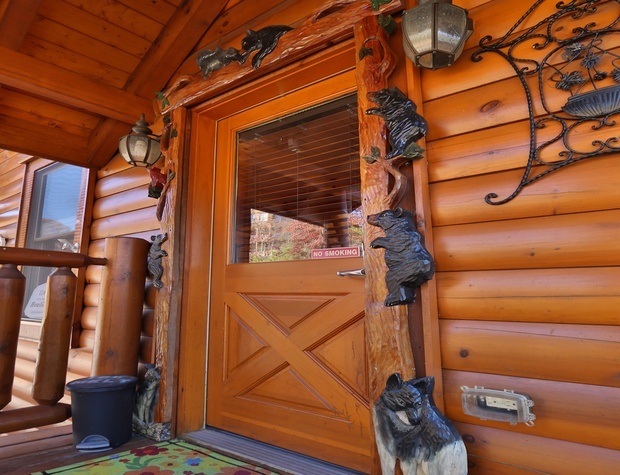 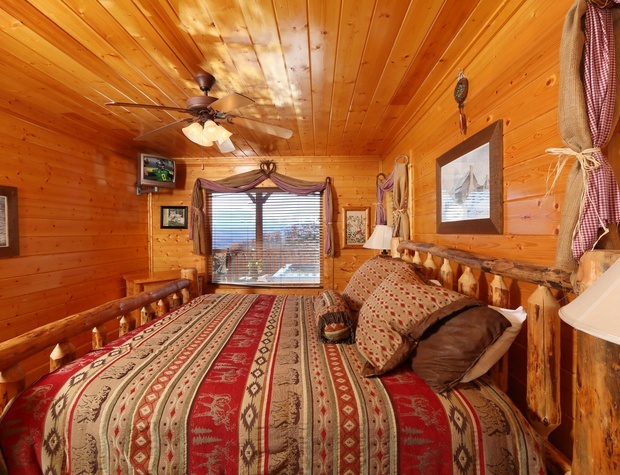 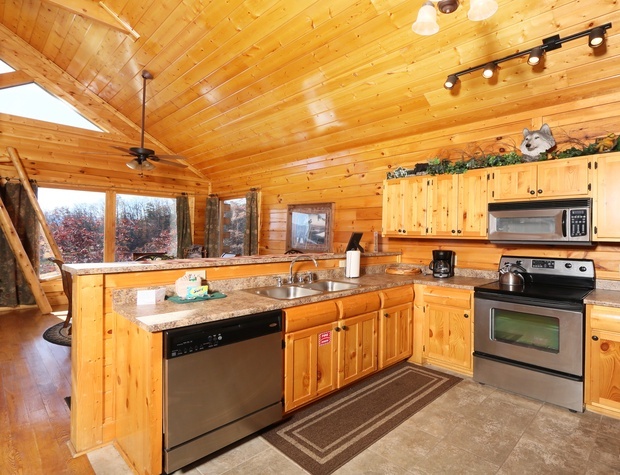 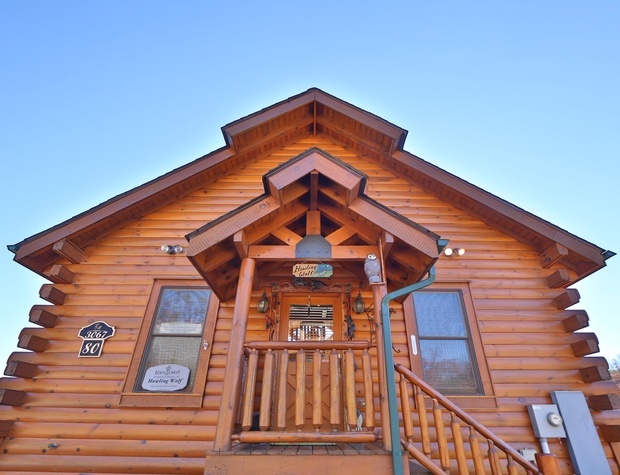 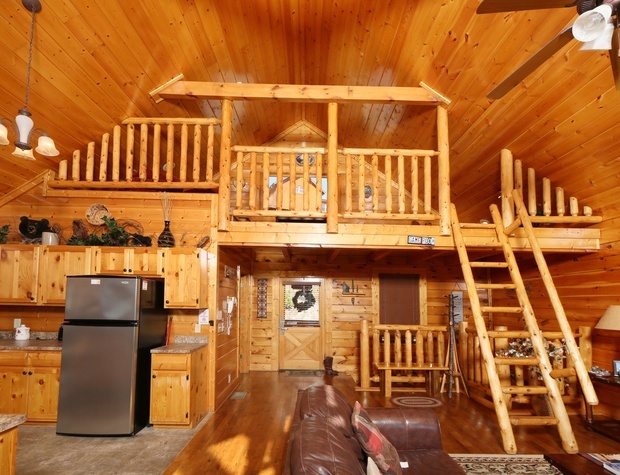 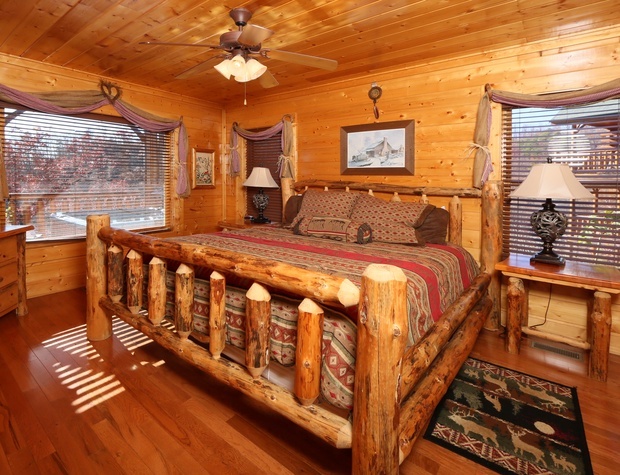 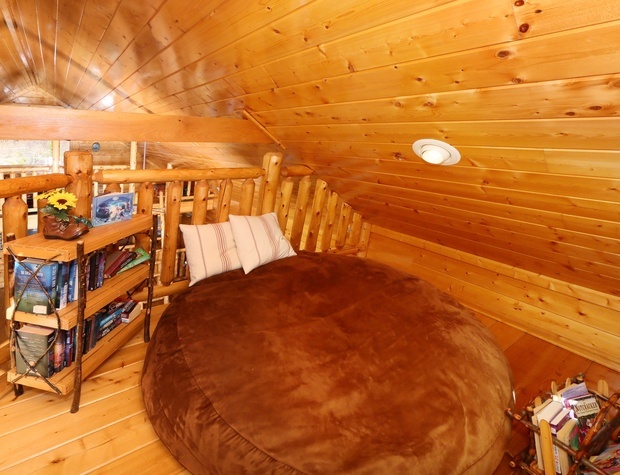 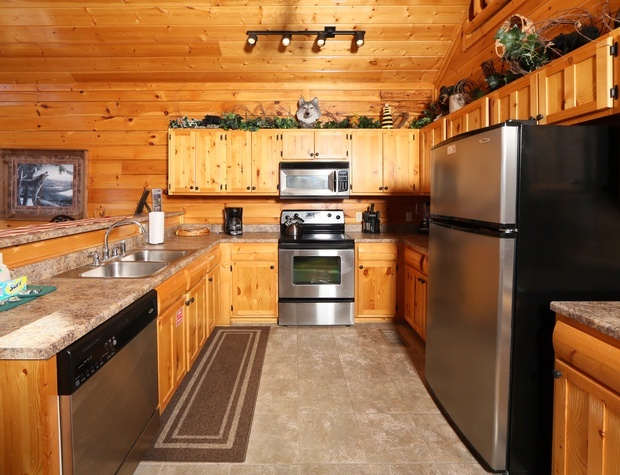 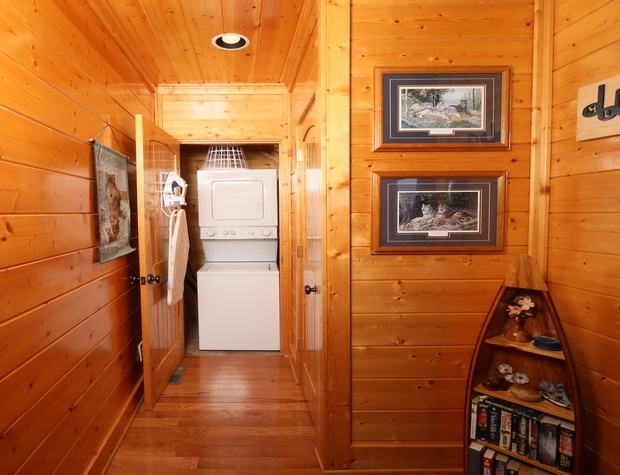 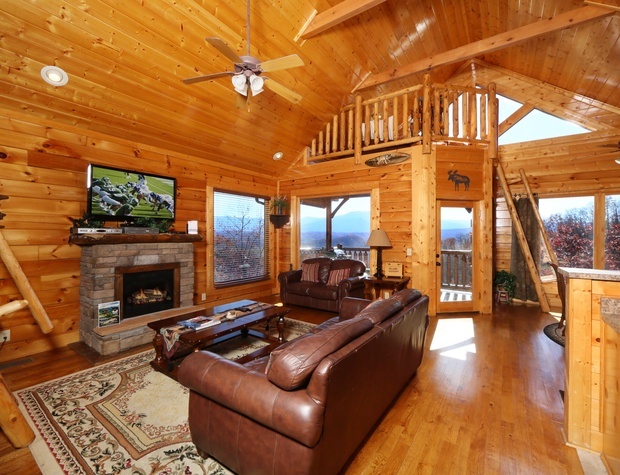 Well then trade in your howls of frustration for a whooping howl of joy at “Howling Wolf.” This quaint and cozy Pigeon Forge cabin nestled in the majestic Great Smoky Mountains will wash away the stress of the outside world the moment you walk in the door! 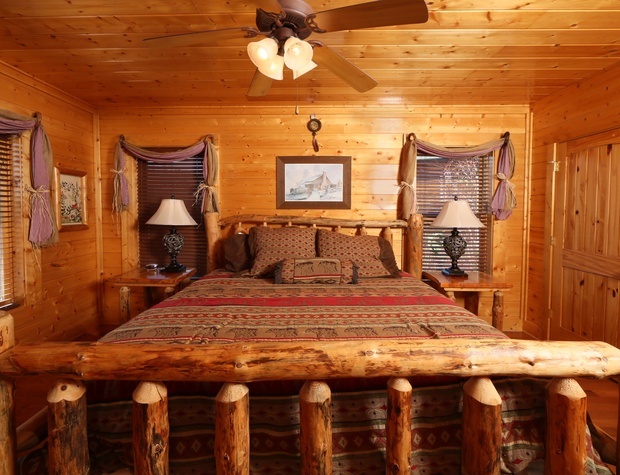 You will literally feel your cares pass away as you take in the charm and luxury of “Howling Wolf’s” authentic décor and wide open spaces. 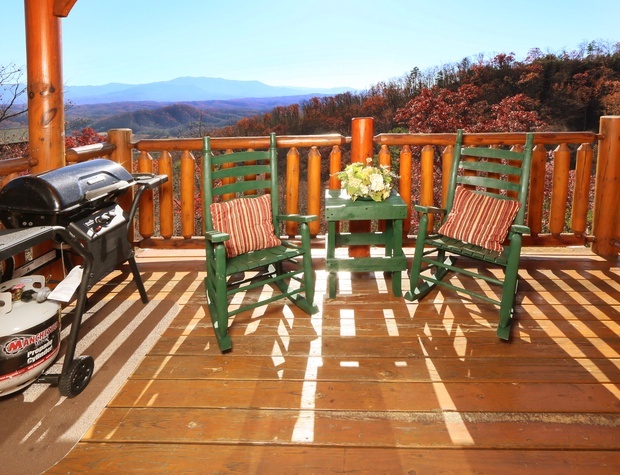 Feel peace overtake you as you sip coffee on the country porch rockers and grill up a juicy steak on the outdoor BBQ grill. 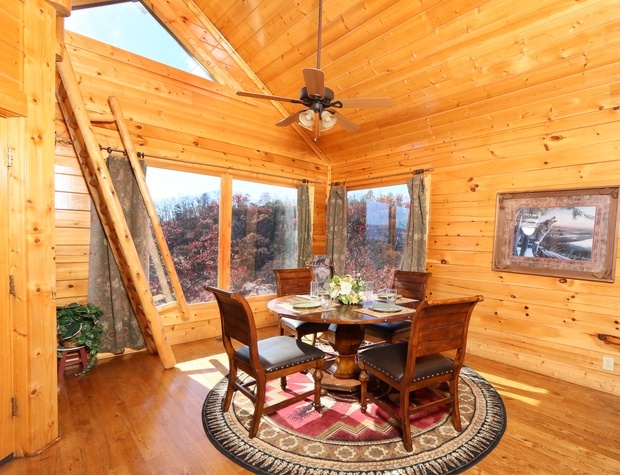 With accommodations for up to four people this Pigeon Forge cabin is the perfect locale for a romantic interlude or serene family vacation. 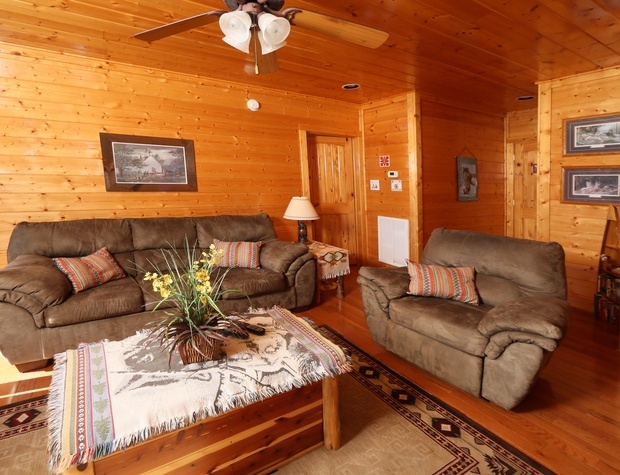 The cabin features the very best of entertainment options with three TVs including a 52” widescreen and 42” plasma screen. 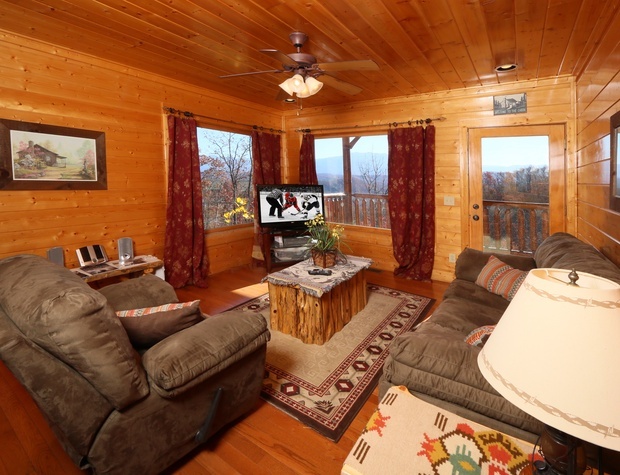 In addition enjoy the limitless fun of a Wii gaming system VCR and DVD player. 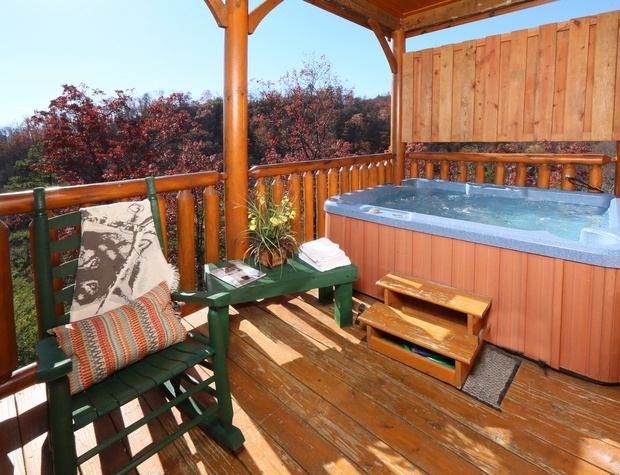 In the unlikely event that stress starts to seep back in drown it out in the private hot tub on the deck or the bedside Jacuzzi in the master bedroom. 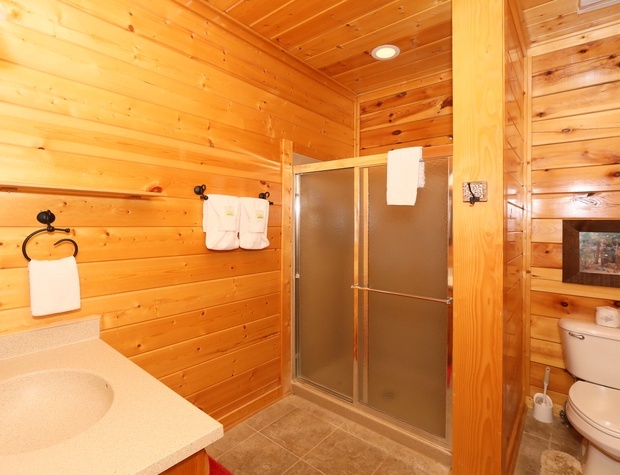 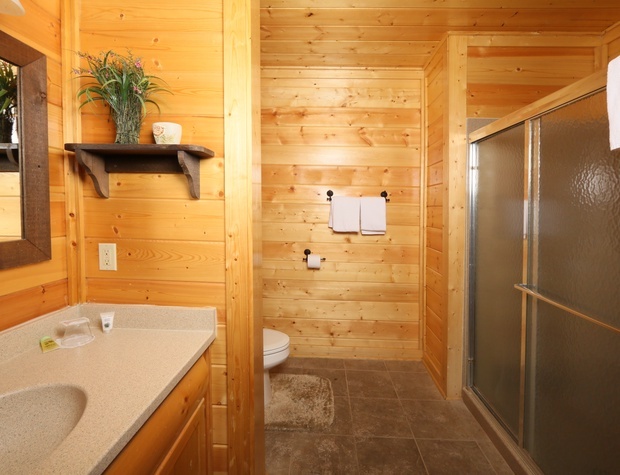 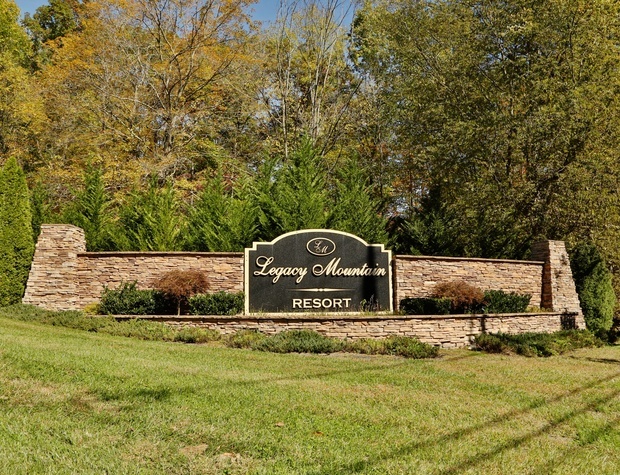 If you desire a little fun outside of the cabin you will be delighted to discover the seasonal resort pool workout room sauna and picnic area. 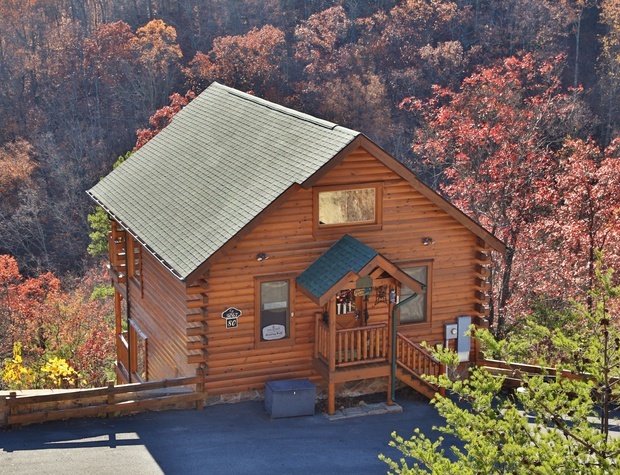 A fun-filled venture into Pigeon Forge or Gatlinburg is just minutes from your cabin wonderland. 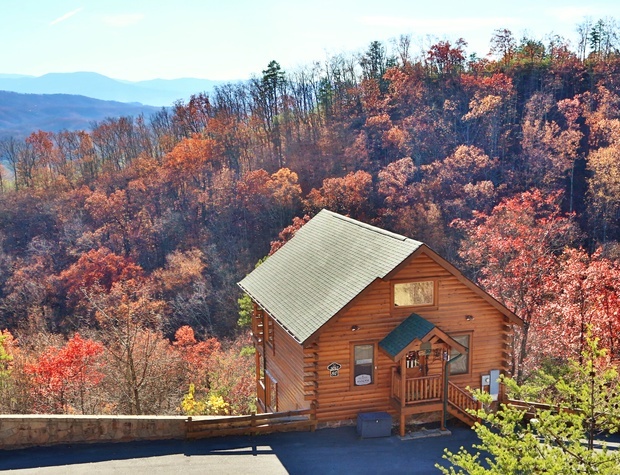 There you will find any type of fun you desire—from dinner shows to roller coasters or shopping to hiking—everyone in your group will be satisfied and fulfilled.